Wait, do you not know about the super-secret deluxe combination of the Astro Megazord and 2 Delta Megazords? I'm now imagining an Astro Megazord wearing two layers of Delta Megazord armor like a giant winter coat that makes it too bulky to move. 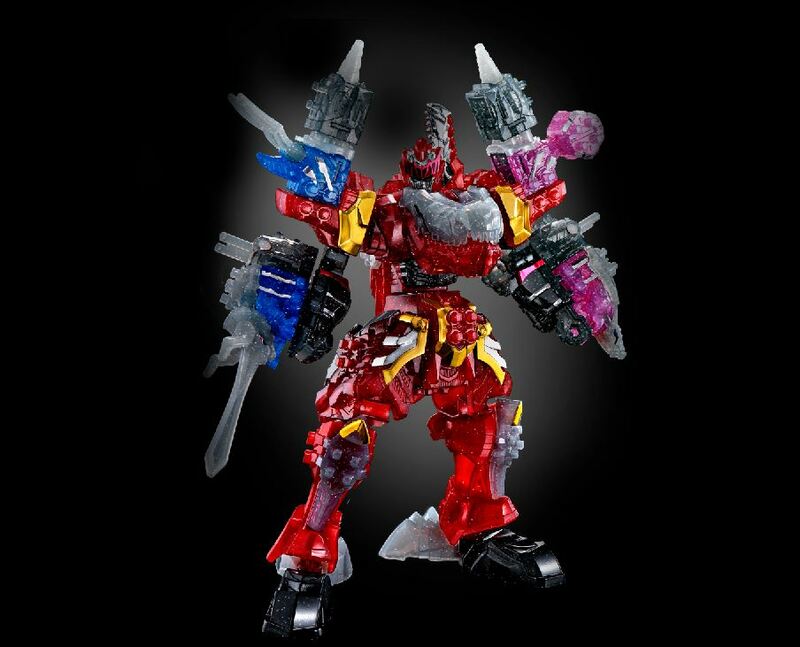 In Space fans will be happy to know that Bluefin is now accepting pre-orders for its Bandai Shokugan Super Mini-Pla kits. Fans can pick up the Astro Megazord and the Delta Megazord for $42 dollars a piece, and each one is able to transform from Megazord mode into vehicle form. Wouldn’t be shocked if plans changed. My order came in the solid grey outer packaging, with both independent boxes inside (with the horrible labels). I’m trying to get a replacement chest sticker for my Ape Ninjazord and had included a replacement request for the Gridman God Tank piece I broke in the same email to Bluefin. They told me more than two months ago that my entire request was verified and they’d get back to me in 6-8 weeks. Emailed them last week for an update and just got an email last night saying that the God Tank set wasn’t distributed by them, so they can’t replace the piece. No mention of the Ape Ninjazord sticker. Now to wait and see if they bother responding to my follow-up email regarding the Ape Ninjazord sticker. I know that feeling about the Gridman Minipla breaking. I had to get replacement parts for the knee joints for the God Xenon combination. My ape ninja zord arm broke. Can I contact BoJ to get a replacement part? Thank you. Did you buy an entire new set or did you reach out to someone for a replacement? Just curious about the best way to go about this. From what I’ve read, you can only reach out to BoJ if you bought it while in Japan. You can’t get a replacement if you purchased it through an online retailer. If you bought it in the US, Bluefin distributed it. It should have stickers on the boxwith the English name and Bluefin’s logo. If your version is the Bluefin version, you can try contacting them. Just noticed today, the preorder for Genesic Gaogaigar went up today on Hobby Search and reservations are already closed. Gutted! Just have to wait until it comes out now. It looks like a cool set. Anyone else got this set preordered? LiveRobo looks pretty cool. And it's symetrical! Now Glitter KishiryuOh is ugly. Looking at the Live Robo pics again, I just noticed how small the head is. To the point it could almost make the toy look like a knock-off. They should have made it a bit bigger. How did you even make that battleborg? Looks incredible. I bought a couple of shogunzords, use one set of the heads with modified Shodo Kamen rider and Ultramen bodies, with many kind of shodo or gashapon hands.